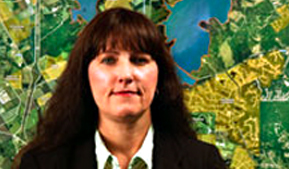 Sandi began her career in the oil and gas exploration industry working for Sun Oil Company. She started as a Production Clerk and throughout her career was promoted to various administrative positions to District Secretary within the Regional Exploration office in Dallas. In 1988 she continued her career in the oil and gas industry with SND Energy Company as the Office Manager. In 2000 she began working in the real estate development industry for Hanover Property Company as the Office Manager. Her duties include, but are not limited to: day-to-day tasks of running an office efficiently within a budget; basic accounting; due diligence for new acquisitions; closings that require coordinating with title companies, attorneys, lenders, land owners, and builders; investor relations; partnership administration; Corporate Secretary and property management of rental properties.